Israeli separation wall threatens world heritage site of Battir: The future of an ancient agricultural landscape, incorporating extensive stone-walled terraces and a unique natural irrigation system, could be decided on Wednesday when a petition against the planned route of Israel's vast concrete and steel separation barrier is heard by the high court. The terraces of the Palestinian village of Battir, near Bethlehem, are expected to be declared a world heritage site by UNESCO, the United Nations' cultural body, in the coming months. 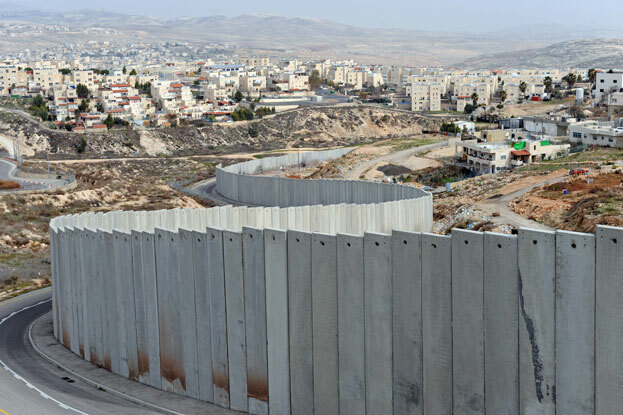 But, Friends of the Earth, which filed the petition, says Israel's decision to construct the West Bank barrier through a valley running between the terraces threatens to inflict irreversible harm to the landscape. The case has been bolstered by a last-minute U-turn by Israel's nature and parks authority, which called on the court on Tuesday to accept the petition, saying the "special and valuable area" should be protected in the public interest. The authority argued there was no longer an emergency security environment requiring environmental considerations to be cast aside. 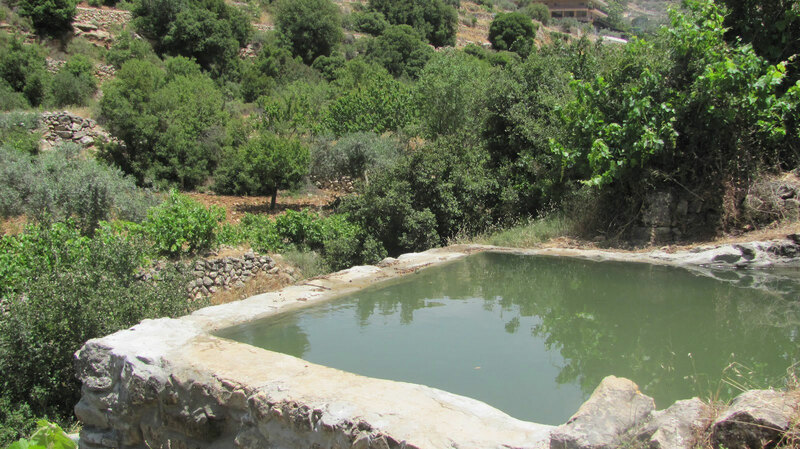 According to Gidon Bromberg, of Friends of the Earth Middle East, Battir is "one of the earliest examples of terraced agriculture, and continues today in basically the same state. Around half a billion stones were collected generation after generation, repaired after every winter season, expanded over time." The trees and crops planted on the terraces, which stretch for more than 325 hectares, are fed by a natural irrigation system dating from the Roman era, which channels water from seven springs and is worked as a co-operative by the eight main extended families of the village. Battir's terraces straddle a valley through which the 1949 armistice line, separating Israel from the West Bank, runs. The village buildings and some terraces are on the West Bank side of what is known as the Green Line; most of the terraces lie within Israel. In 1949, Israel's famous military leader Moshe Dayan gave permission for Battir's villagers to tend their land on the Israeli side of the line. But 10 years ago Israel began building the barrier wall in response to a wave of Palestinian suicide bombings. In a statement, the Israeli defence ministry said: "The security fence has helped to reduce the number of attacks and fatalities. However, there are still natural entries, through which tens of illegal infiltrators are intercepted every day. "It is for this reason that the final parts of the Jerusalem envelope (the southern section) must be completed. Without these sections, Jerusalem remains vulnerable to terror." The original route near Battir had already been changed after objections from nature and environmental groups, it added. Villagers would be able to access their land on the Israeli side of the barrier through two gates, and the irrigation system would not be affected, it said. The stretch of the barrier close to Bethlehem has faced a number of legal challenges, including one from villagers and Christian monks and nuns in the nearby Cremisan valley. The present route of the 800km-long barrier, which is about two-thirds complete, transfers almost 10% of West Bank land on to the Israeli side. "The barrier will destroy the cultural and natural heritage of Battir," said Bromberg. "International and Israeli experts believe this area is worthy of protection. It's all about preserving the way things have been done for thousands of years." Browse All UNESCO World Heritage Sites in Israel. The original Source File!! !